If you like to enjoy a glass of wine from time to time, mostly likely you have saved a few wine bottle corks at some point in your life! 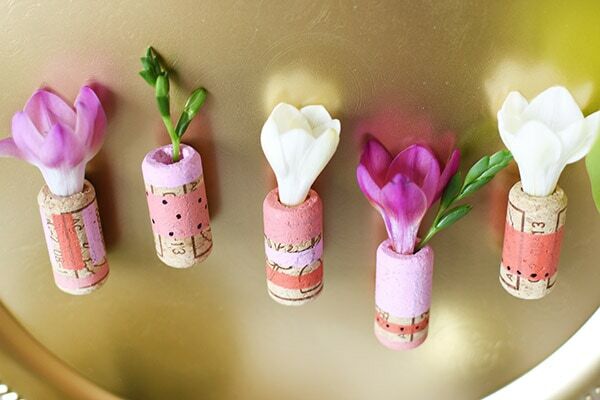 I have a huge jar of them from special occasions from over the years and today I am sharing a few way to reuse some of them as DIY Cork Flower Vases! I have a soft spot in my heart for all miniature things, so being able to create mini flower vases made me, oh so happy! I had already bought a bouquet of flowers and was able to snip just a few small flowers from it to use in my mini vases here. But you could just as easily use silk flowers or even faux succulents! Those would last longer. However, mine lasted two days without even having water in them. 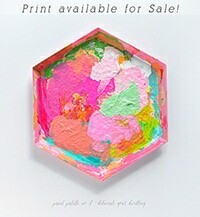 Be sure to head over to Oriental Trading’s Fun365 site to see my full supply list for this fun DIY project. 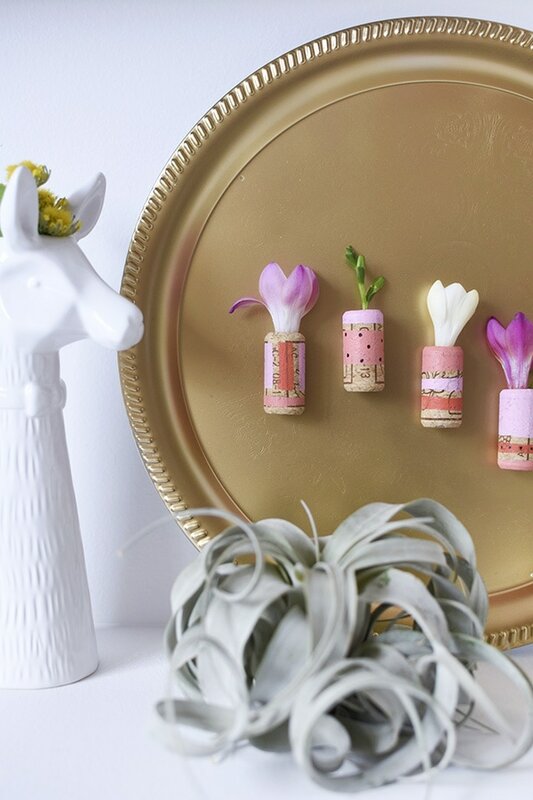 I have moved three of these mini cork vases to a chalkboard hanging in our dining room. I love the little cheerful color they bring to the space! 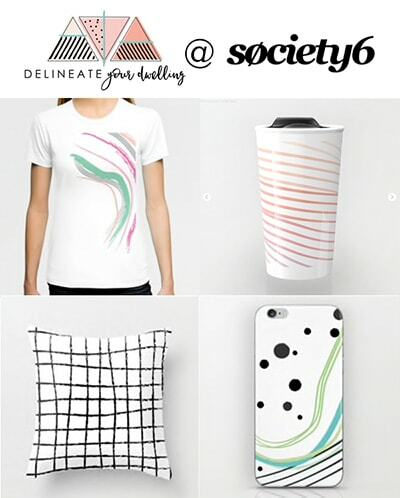 Be sure to pin if you are wanting to make this later on! 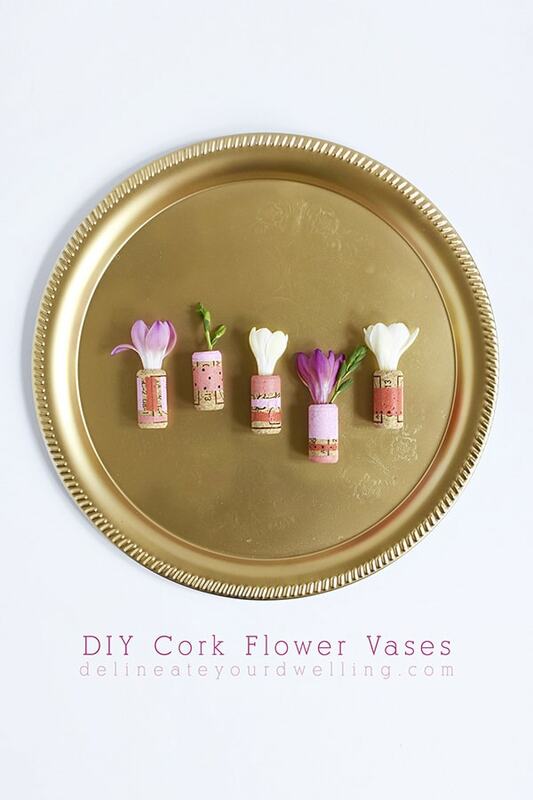 Be sure to see the full step by step tutorial for these adorable mini vases at Oriental Trading’s site. 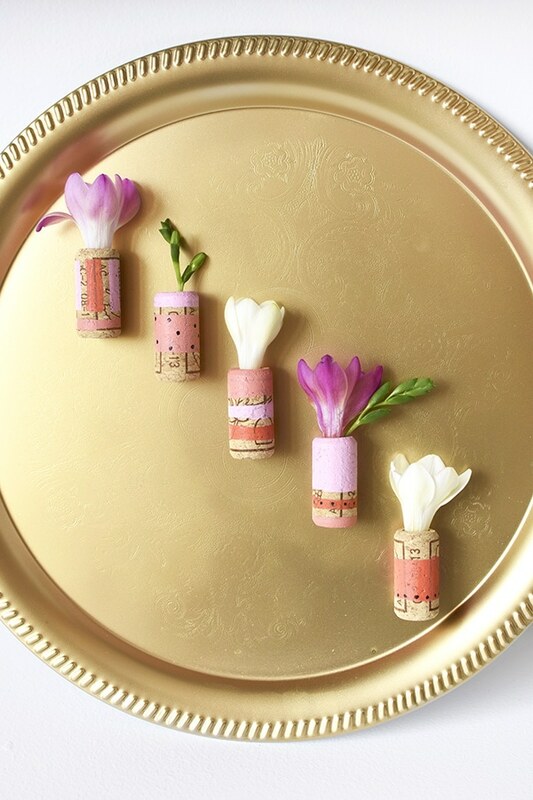 Those little vases are beautiful! They’d make a perfect little gift. These are too precious! And I love the idea of using them with faux succulents! Thanks Marlene! 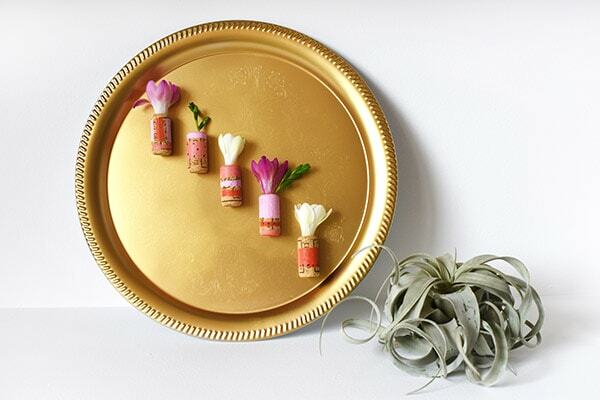 I am on the hunt for mini faux air plants — wouldn’t they be amazing in there!